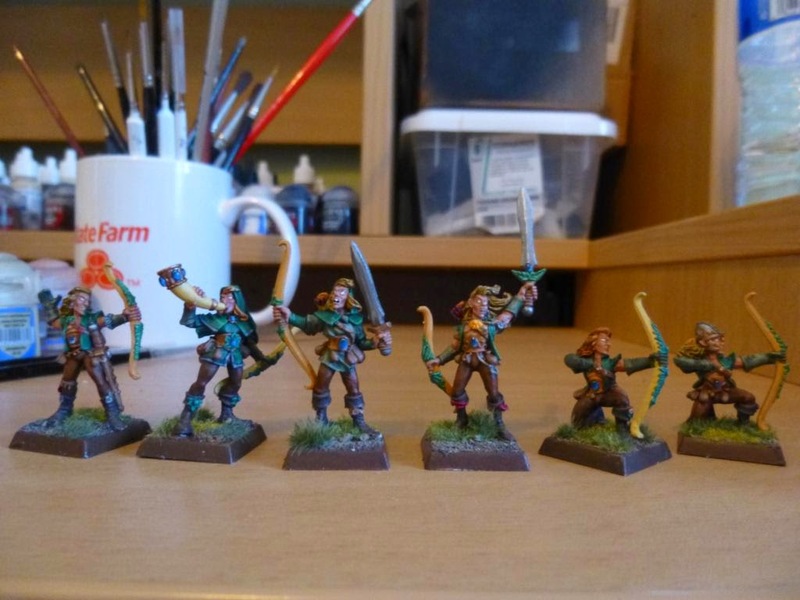 Mengel Miniatures: Painting Competition Results! 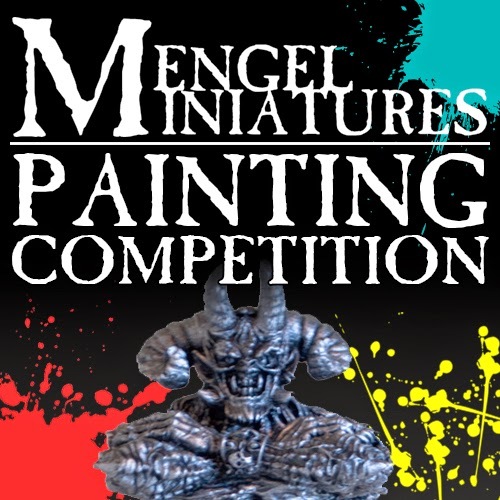 It's time to reveal the winners of the first ever Mengel Miniatures Painting Competition. For those who missed the start of the competition, everyone had one month to paint any model they wanted. All they had to do was start a topic in the W.I.P. section of the forum to document their work. We had several people enter but in the end only four finished in time. Luckily it was two entrants per category. The two categories were Single Miniature and Unit or Large Model. Each category has a first and second place winner. There is also an overall winner and a people's choice winner which was voted for on Twitter, Facebook, and the Forum. So without further ado, here are the winners! I really like this model. The conversion is subtle but does a good job of reinforcing the sense of movement in the model. All of the colors work well together and the highlighting is clean. I chose this model for first place because of how crisp and vibrant everything is on it. I especially like the chapter badge and squad marking. 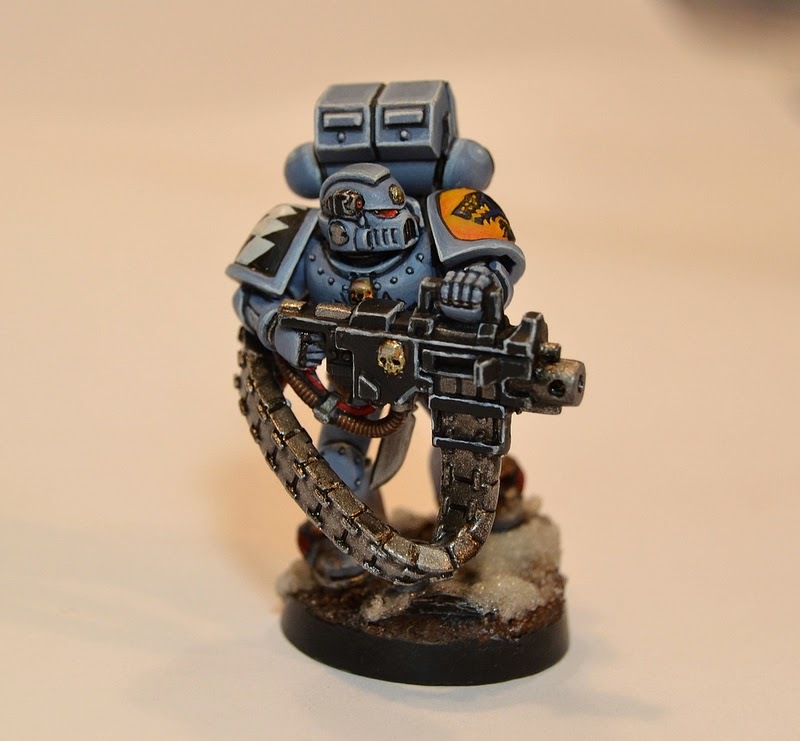 This is very 'Eavy Metal in style and works well with a Space Marine. The only thing I would change is to tighten up the highlights on the gun casing and metal. These scouts really are top notch, all of the colors are clean and bright. There isn't really much I would change or improve on them. This bust is just excellent. All of the colors are bright and crisp with subtle transitions between all of the layers. It's such a characterful sculpt and Christopher really did a good job at bringing it to life. I especially like the parrot. It was a pretty close race with the lead switching back and forth a few time, but in the end Gwydion won out. 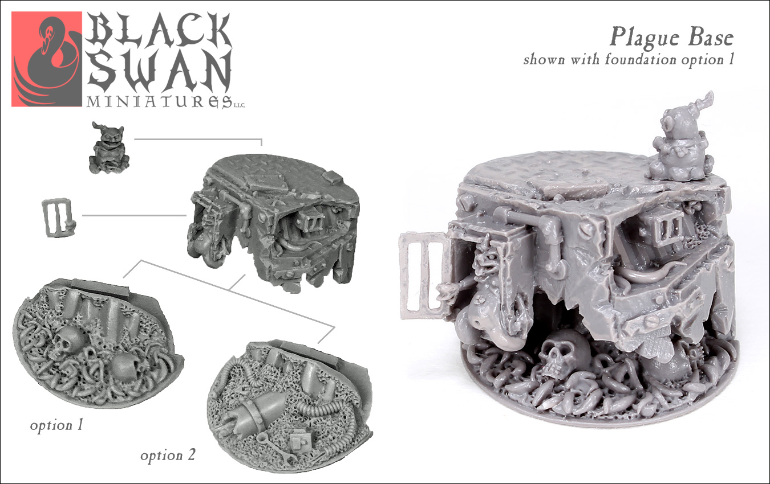 He won his very own Plague Base from Black Swan Miniatures! Christopher Nelson is taking home the award for Overall Best Painted with his spectacular take on this bust. He also gets a Plague Base by Black Swan Miniatures and the out of production End Times: Khaine Battle Magic Spell Cards! Congratulations to all of our winners and a big thank you to Todd Swanson at Black Swan Miniatures for providing additional prize support. I really enjoyed seeing all of these models progress and the end results were all great. Judging a painting competition is a lot harder then you would think. I plan on running more painting competitions throughout the year and will definitely be having the big one again next year. Until then keep painting and posting it in the forum for everyone to see. 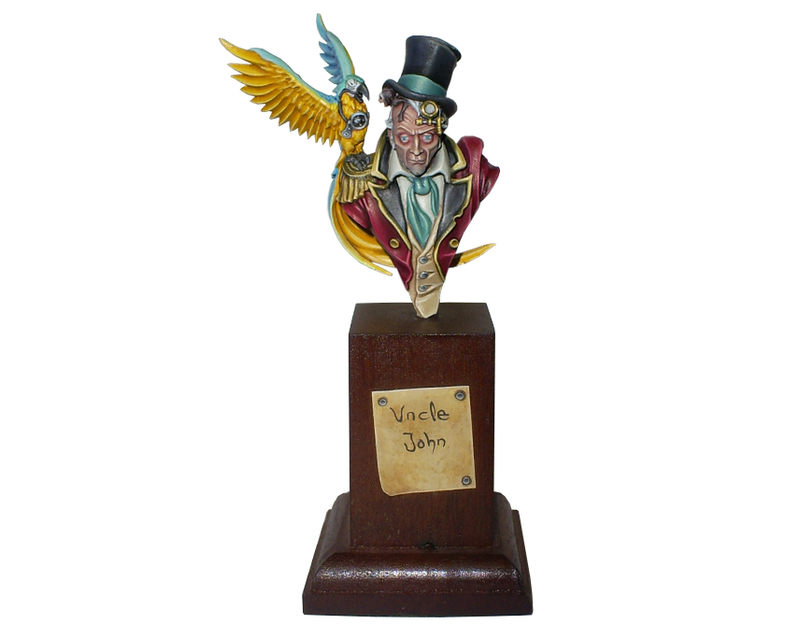 To our People's Choice and Overall winner please contact me at tylerm@mengelminiatures.com to claim your prizes.